As we continue to build up to the world’s largest cruise ship, making its debut in May 2016, Royal Caribbean has now revealed all the entertainment offerings which guests will be able to enjoy. Included in the mega entertainment line up are some fleet favorites and all new experiences to keep guests entertained all cruise long. The 1,380 capacity Royal Theater on Harmony of the Seas will feature spectacular state-of-the-art performances not seen on land. The show lunge will include runs of Columbus, The Musical! – an original Royal Caribbean production with a breathtaking and revolutionary set design, transporting the audience across the Atlantic to the Caribbean. Grease will be an all new production show just for Harmony of the Seas, the show will feature crowd favorites such as “Summer Nights,” “Greased Lightnin’,” “Look at Me, I’m Sandra Dee,” “Born to Hand-Jive,” “Beauty School Dropout” and more. AquaTheater Reaches New Heights with The Fine Line, with high-flying feats, mind-blowing stunts and physically demanding acrobatics brought to life by the world’s best extreme-sport athletes. Hideaway Heist, an action packed comedy aqua show jumps into the world of a swanky 1950’s holiday resort where guys ‘n’ dolls take the audience on a frolicking escapade in, on and around the pool as an undercover detective, playing the part of a high-rolling vacationer, pursues a crafty burglar. The ship’s Ice Rink will not miss out on the action with two breathtaking shows. 1887, a Royal Caribbean production featuring World-class skaters and striking technology. iSkate Showcase will be a a Studio B ice show unlike any other where Royal Caribbean’s talented skaters put their best blade forward in a dazzling showcase of their very best moves set to their own favorite tunes. The cast goes rogue and anything can happen! There will also be Royal Caribbean favorites making a come back on Harmony of the Seas including Puzzle Break: Escape the Rubicon, Red Party and Stowaway Piano which was first feature on Anthem of the Seas. Royal Promenade won’t be missed out with special themed nights and parades. 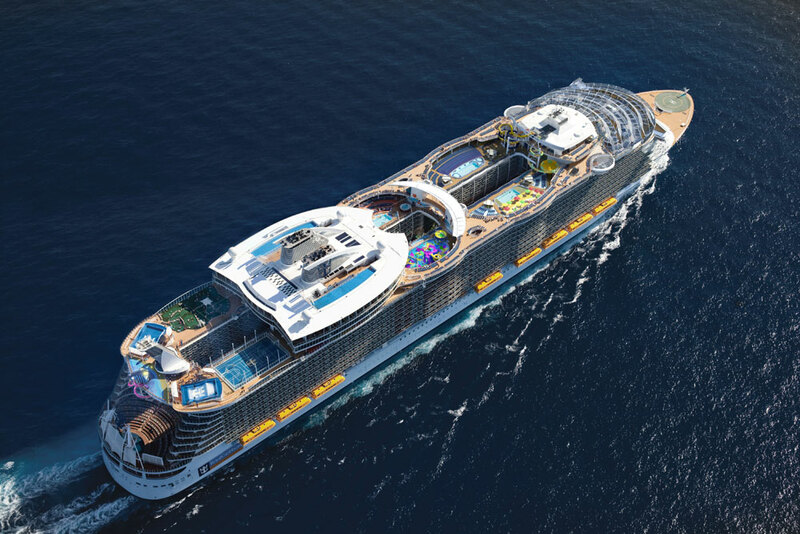 Harmony of the Seas, the world’s largest cruise ship, will span 16 guest decks, encompass 227,000 gross registered tons, carry 5,497 guests at double occupancy, and feature 2,747 staterooms. The ship is currently under construction in France and will be delivered by STX Europe to the cruise line in May 2016.